On January 3, 1972, Uri had a show at a theater in Yerucham which was southeast of Beersheba. We headed south from Tel Aviv at 6:35 P.M. on the road to Rehovot. As we passed the sign on the road that pointed to the Sorek Nuclear Research Center, we - Uri, Ila, and I - saw a huge red star to the west. Actually, if we had not known about spacecraft, it would have looked like another star. Uri slammed the car to a sudden stop on the shoulder of the road. We scrambled out into the mud to look. The red star was gone, About a thousand meters away at twenty degrees elevation was another long red light, about three hundred feet long. There was one red light trailing it about one hundred yards to the right. I looked at my watch; it was 7:15 P.M. Uri took one look at this long red light and said, "Let's get out of here!" and drove away furiously. At 7:23 P.M. there appeared ahead of us a bright star that was only about two hundred yards/metres above the road, always staying about a quarter of a mile (400m) ahead of us. This star flashed color sequences, red, blue, yellow, green, etc. This "flasher" lasted until 7 :26 P.M.
At 7:40 P.M. two yellow lights appeared to the west as we approached Kiriyat Gat. These blanked out, and three orange flares appeared exactly like the seven I had seen the night before. These were only a half mile away and lit up the whole countryside. Pillars of smoke rose from the orange flares which did not hit the earth but hovered in the air. I could not help but think of the Pillar of Fire that guided the Israelites in the Sinai, during the Exodus. At 7:41 P.M. the moon, very full, rose over the hills to the east. To the south of the full moon we saw four disk-shaped red-gold lights that moved slowly to the southeast. Then one winked out, and only three remained for another minute. Then at 7:43 P.M. from the region where the last red-gold lights had disappeared came a magnificent spacecraft. It was huge, at least a thousand yards long. It was definitely circular as it tilted up slightly so that we could see its underside. The rim of the circle was a flat wall covered along its entire length with what had the appearance of portholes, but what was actually seen were flashes of light that had the appearance of a porthole. These flashes lit up the length of the craft with colors that encompassed the entire spectrum of light. The lights were so bright that the countryside below the craft was lit up as it passed about a half mile due east, moving north. Other cars were on the highway going in the direction we were, as well as in the opposite direction. We three soon realized that no other drivers were looking at what we were looking at. I knew from previous experiences that this display was "for our eyes only." What I couldn't understand was how others could not see what we saw when the flares, or the craft, lit up the entire countryside so brightly? This at times included the road ahead of us. While the huge spacecraft silently moved north to our left, there appeared directly in front of us, about two hundred yards away, a bright burning yellow ball. It came right at us soundlessly, and then exploded laterally into a mouth shape. Just to the right of the road, two yellow flares were following our progress on the road. They also gave off smoke. Then behind these two flares, two more briefly winked at us. Then another ball flare came from the east side of the road and exploded over us. All of this was silent, and there was no smell of burning substance in the air. The display was awesome, in that each flare seemed to move with a guidance related to the movement of our car. Then on each side of the road, yellow flares flashed for a few seconds, like giant eyes winking at us. Then for the next thirty-five minutes we were surrounded above, to the right, and to the left by these smoking flares - yellow, gold, red, and golden red. It was impossible to keep track of all these lights at once. At 8:25 P.M. two red flares appeared to our right, to the northwest. They followed us like two red eyes at a respectful distance, always hugging the edge of the horizon. As they moved, they lit up the fields and woods below with an eerie fiery glow. Most amazing, they followed us right through the town of Beersheba, hugging the rooftops and lighting them with a red glow. This was an incredible experience, and this pair of eyes followed us all the way to Dimona. At Dimona we picked up a hitchhiking soldier who was going to Yerucham. As soon as we picked him up, the lights winked out, to be seen no more that evening. We were so excited about what we had seen that Uri could hardly concentrate on his show. But he did his show with ease, demonstrating telepathy, repairing watches, and bending metals. We drove back to Tel Aviv from midnight until 2:30 A.M. without seeing a single light. There was no question in any of our minds that we had seen at least one giant spacecraft that night. We had seen dozens of colored smoky flares that followed us with a kind of animal faithfulness. The seven pillars of smoke that I had seen the night before were only a forerunner of what we had seen this night. There remained the mystery of why no one else was seeing what we saw so plainly. I did not even attempt to take movies, knowing full well that my camera would be jammed. We checked the newspapers the next day. There were no reports of strange lights in the sky such as we had seen. If what we saw was an hallucination, it was a beautiful spacy trip for the three of us! The next night was January 4. Uri had another show in the direction of Beersheba in a small town, Ofakim. We went out of Tel Aviv by the same road as the previous night. In the car were Uri, Iris, Ila, and myself. As we passed the Sorek Nuclear Research Center, we saw our first red light in the sky that moved slowly to our west in a sinusoidal path. I do not want to bore the reader, but we all saw the same kind of aerial display as we had seen the night before. We saw the giant spacecraft with the multicolored flashing porthole lights, the flares, the explosions, and always being followed by these eyes in the night. Again, no one but we seemed to see this awesome display. When we reached Ofakim, Uri was to perform in a lovely modern theater. The night was warm and balmy for a change. I decided to stay outside the theater and keep an eye on the sky for further aerial displays. By the loud booming public address system in the theater, I could tell exactly when Uri appeared on stage to start his show. 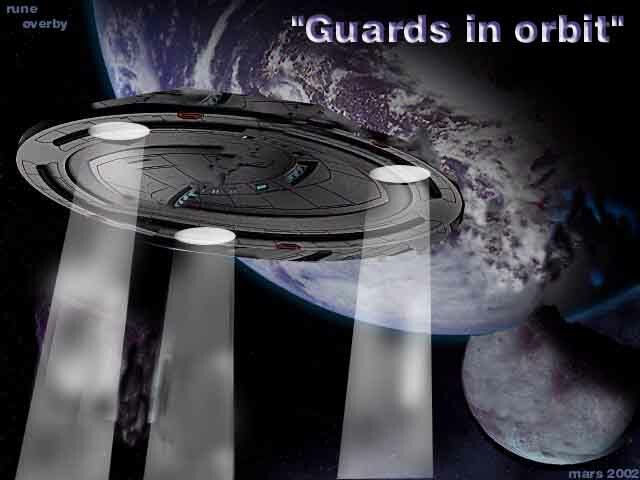 As Uri began to speak, I and Ila saw a red light and a spacecraft approach Ofakim from the east, settle down over the town, and land somewhere just beyond our range of vision. It was really hidden behind some buildings about a half mile away. I watched the area where it had become invisible all the while that Uri was doing the show. As Uri ended, the red light arose from its hiding spot, and a red disk-shaped craft moved away toward the east. On Wednesday, January 5, Ila had stepped out on the balcony of room 1101 at the Sharon Hotel just after sunset, about 5:20. She called to me in panic. I joined her. There coming from the south flying low over the Tel Aviv-Haifa Highway was a huge spacecraft It had a steady white light at the front and at the back. Between these two lights was a dark hull, perhaps one hundred yards in length. It was about two thousand feet to our east and moving slowly at about two hundred miles per hour. It was a majestic sight as it moved unchallenged over Israel, and probably, unseen by any except us. The same evening Uri had another show to the south at Beersheba. As we were driving just south of Rishon Le Zion at 8:40 P.M., Uri stopped the car to point out a spacecraft to Iris, Ila, and myself. It was the most spectacular performance I had seen to date. The spacecraft was high in the sky and very far away. It was located just above the belt of the Hunter in the constellation Orion. We could not tell how far away it was because it seemed to be way out there in the star field. Whatever the distance, it was a huge rotating disk with a red light at each end. What was spectacular was that it was going through complex maneuvers. First it moved sideways in circles or loops like a coiled spring. Then it would move back in complex figures just like script writing loops and swirls. Then it would oscillate in straight line lateral movements. It seemed to be skywriting, but none of us could read it. I wanted to try to take a movie of it, but Uri dissuaded me - this was sacred, he said. Watching this spacecraft had a strange quieting effect on all of us. Personally, it made me feel very small and alone in the universe. The display lasted four minutes by clock time, but to me it seemed like an eon. When we were somewhere in the area of Ashqelon at 9:35 P.M. we got lost on a side road. There appeared a small spacecraft (diskoid) with a steady red and green light on it. This resolved into a single red light which took a position over and ahead of our car. We followed the light, and it led us through a maze of small roads. When we found our road again, the red light winked out. Uri's show was a rousing success. On our way home to Tel Aviv, we saw no lights or craft in the sky. Born on February 19, 1918, in Chicago, ANDRIJA HENRY PUHARICH M.D., has made significant contributions to medicine, neurophysiology, mind sciences, and medical electronics through his researches and inventions in these fields. Puharich graduated from Northwestern University Medical School in 1947 and completed his residency in internal medicine at Permanente Hospital in California. His interest in psychic research developed from an academic curiosity about telepathy. Puharich established in 1948 the Round Table Foundation in Maine. There he conceived and developed a series of experiments to enhance ESP in sensitives by means of electronic systems. Among his colleagues and research associates were author Aldous Huxley and Dr. Samuel Rosen, world-renowned ear surgeon. Puharich's first research subject was Eileen Garrett, the late medium who founded the Parapsychology Foundation, and the results of this research convinced him that telepathy existed. Puharich brought the Dutch sensitive Peter Hurkos to America for investigation and was the first to study this gifted psychic. His experiments teaming Hurkos with another sensitive, Harry Stone, produced extraordinary results when both subjects were in an electrified Faraday cage. These experiments are now regarded as classic in the field. Puharich also studied the Indian sage and teacher Dr. D. G. Vinod, whose powers of materialization and contact with nonterrestrials opened new possibilities in preparing the way for Puharich's future work. In 1958 Puharich moved his laboratory to Carmel, California, where he continued his researches and served as a consultant to industrial corporations, foundations, and universities. In 1960 Puharich headed a research expedition to Oaxaca, Mexico, to study the sacred mushroom rite of the Chatino Indians. He is the first known outsider to participate in the sacred rites of the Chatinos and to document it on film. The following year he went to Hawaii at the invitation of David Bray, last of the royal line of Kahuna priests. After intense training and development, which awakened his own powers of consciousness, Puharich became the first non-Hawaiian to be initiated into the Kahuna priesthood, a tradition dating back thousands of years. While in Hawaii, Puharich discovered the first hallucinogenic mushrooms ever found in the islands. Later that year, Puharich moved to New York and founded Intelectron Corporation (with J. L. Lawrence), to develop electronic systems for aiding hearing in nerve deafness. He served as president and director of research for ten years and holds fifty-six United States and foreign patents for his inventions. He has also applied for patents on his systems to enhance ESP, which have become the issue of a long-standing debate with the U. S. Patent Office and are assuming the stature of classic cases in the legal literature. From 1963 to 1968 Puharich led a number of medical research expeditions to Brazil to study the healer Arigo. Arigo's totally unorthodox surgery and healing powers defied every rule of medicine. 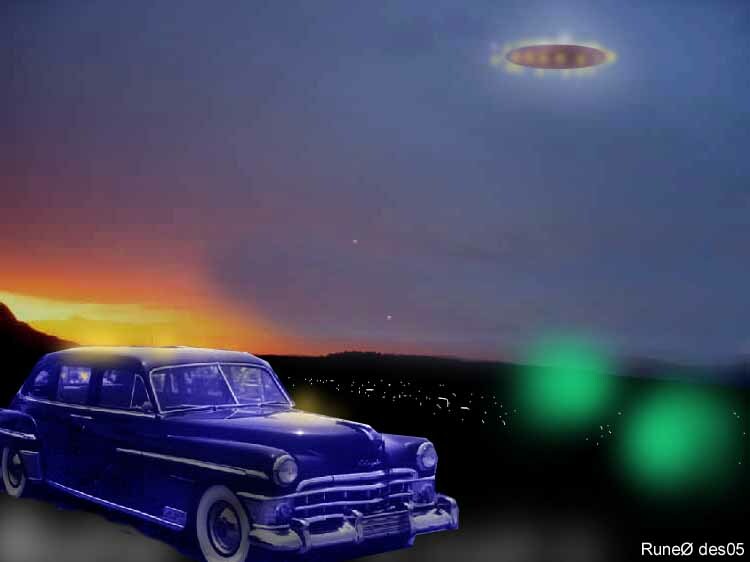 While in Brazil, Puharich first became aware of UFOs, where he saw and photographed a number of them. In 1971 all of his previous professional training and skills, investigative researches, and field studies led him to Israel, where he became the first scientist to investigate seriously the phenomena of Uri Geller. Puharich is listed in Who's Who in the East, American Men of Medicine, Leaders in American Science, Biographical Dictionary of Parapsychology, and many other biographical listings for achievement and contribution. His numerous professional memberships include the New York Academy of Sciences, American Association for the Advancement of Science, Aerospace Medical Association, and the American Association for Humanistic Psychology. Puharich has published over fifty papers and articles in scientific and professional journals and written two books, The Sacred Mushroom, 1959, and Beyond Telepathy, 1962, both published by Doubleday & Company, Inc., and both reissued by Doubleday in paperback editions (The Sacred Mushroom, 1974, and Beyond Telepathy, 1973). He has collaborated on a book by John G. Fuller, Arigo: Surgeon of the Rusty Knife, T. Y. Crowell & Co., New York, 1974. In 1995, a leading pioneer in the study of human consciousness, American physician/scientist, Dr. Andrija Puharich, died at his home in North Carolina, USA. He was a man shrouded in mystery and controversy. Dr. Puharich researched and tested psychedelics long before Timothy Leary. His first book The Sacred Mushroom (pub. 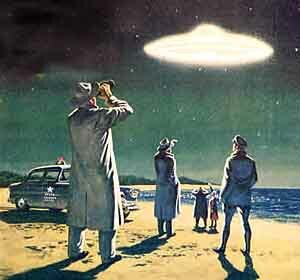 1959) was a catalyst for many to enter this field of research, and was followed in 1962 by Beyond Telepathy. On December 31st, 1952, through an Indian teacher who was visiting the USA, Dr. Puharich first made contact with The Nine, a group of high beings who have had a long and direct involvement with humanity's evolution. After that gifted medium, Dr. Vinod, died, Puharich was saddened and disappointed that his connection with The Nine was over. But he continued to research mediums in hopes that someday he would make contact again. In the early 70's, Dr. Puharich met and worked with the Israeli, Uri Geller, famous world-wide for his spoon bending demonstrations. He soon recognized the possible influence of The Nine in Uri's work and insights, and Dr. Puharich published a book on Geller in 1974. There would be, soon afterward, further contact with The Nine. In early 1974, Phyllis V. Schlemmer, a prominent Florida psychic, asked him for his help with a distressed client, and it was while she was in a trance that she brought through beings whom Andrija immediately recognized as The Nine. This contact flowered into a twenty-year research project which resulted in the publication of one of the most significant and revelatory books of our time, The Only Planet of Choice. The Only Planet of Choice has enjoyed extraordinary popularity in the book market world-wide. It is the outcome of regular dialogues conducted by a specially-formed investigative group. The core of that group was Phyllis V. Schlemmer, Dr. Andrija Puharich, and from Britain, Sir John Whitmore, a pioneer of British New Age education. Question-and-answer sessions were held in America, Europe and the Mid-East, under the guidance of a larger international group formed to support this important venture. Among those taking part were Gene Roddenberry (of Star Trek fame), Miki Walleczek (one of Europe's best-known self-help group leaders), British former Olympic hurdler gold medallist, David Hemery and entertainer John Denver. Thousands of transcripts of these sessions were gathered and it soon became apparent that the information coming through provided key insights to humanity's present predicaments and appropriate solution. There is a growing international awareness of the need for such information. The Only Planet of Choice is the first authoritative book on The Nine's teaching and it rapidly established itself as one of the best examples of pure high-being channeling ever received. The book has earned world-wide acclaim for its informed history of Earth and what is required of humanity to break through into a new state of consciousness. boken ble oversatt til dansk i 1974 av mogens boisen og et referat på dansk av boken laget av sven-åge rossen ble brakt i tidskriftet KOSMOS nr 10 i 1975 - tidsskrift for MARTINUS KOSMOLOGI - jeg forsto det slik at dette var en av de meget få bøker som Martinus selv hadde lest og vistnok var det slik at han mente innholdet i boken var korrekt og virkelig. 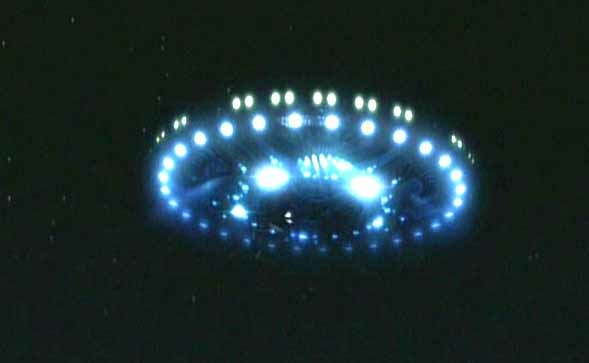 *link to ufocontact from -89 talking much about "the nine principles"